John Wooden is regarded as the most successful coach in sports history. Wooden has had 12 NCAA final four appearances resulting in 10 championship wins. Wooden also has an amazing 80% overall winning percentage. John Wooden’s principles of success drove his life and those lessons transferred over into everything he did including his coaching career. This is a valuable lesson to learn…by applying successful principles to your life as a whole…you will excel in everything that you choose to do. So what lessons did John Wooden live by? Wooden crafted the “Wooden Pyramid of Success”, which I have added into this post. Your image is how many people will perceive and judge you. Coach Wooden wanted all of his players to look respectable. Legendary UCLA center Bill Walton got thrown out of practice and told not to come back until he shaved and got a hair cut. Controlling your image and perception is extremely important online. People tend to Google your name when looking to hire you or go into business with you…What will they find? How will they perceive your personal brand? This point may sound cliche, but it is so very true. Know who you are and who you are not and strive to achieve your dreams whether it’s being a successful father, business professional or athlete. Stay true to your values and strive for excellence in anything you decide to do. It’s easy to pass the blame on to someone else or sweep something under the rug. Only when you realize your faults and short comings are you able to change them and grow. Listening to your customers and those in your life can give you insights that you may fail to realize otherwise. You don’t have to implement every change someone recommends to you, but have an open mind and be ready to digest the nutritional bites of insights that can be beneficial to you, or your company. Social media is a very powerful tool to listen to, monitor and respond to the chatter and feedback about your brand. In any endeavor you are involved in it’s important to surround yourself with value creators, opinionated people and those skilled in their area of expertise. You want to make sure you don’t make the common mistake of building a team full of “Yes Men”, people with the same skill sets as you, or those who bring the team down with their negativity. This lesson speaks for itself…Before going into any situation it’s good to gather as much information about that situation as possible. The big thing that Coach Wooden preached regarding this point was that his team should focus on themselves and do whatever they do best. Wooden didn’t even scout out competing basketball teams…he simply coached his teams to play their best basketball everytime they stepped onto the court. I don’t completely agree with this point. I favor Sun Tzu principle that if you know yourself and know your enemy you need not fear the result of 100 battles. So many times people get caught working on what’s immediate as opposed to what is truly important. It’s a trap that’s very easy to fall into. I’ve experienced this trap many times…It’s easy to get an email or phone call and be obligated to answer it immediately thus getting distracted from important goals or tasks for the day. To avoid this trap I try to never lose sight of what is most important. I find that mapping out the steps to obtain a goal by starting from the end and working backwards is the best way to figure out the optimal path for achievement. Once I’ve determined the steps, I strive to find time to self reflect through reading and meditation to make sure I’m not getting too far away from the steps needed to accomplish my goal. I Thought that this was a very nice quote. I feel most athletes or virtually any striving person or professional has to be a bit selfish with their time, attention and resources to be successful. It’s very important to remember why you are striving to be successful in the first place. For me it’s so I can help others be successful through my insights and experience, provide a great life for my family, and not be forced to trade my time for money allowing me to travel the world and see and do the amazing things god has created, or inspired, with those who are close to me. Keeping these end goals in mind will transform your journey to success from selfish to selfless. I love what I do and look forward to working everyday. Investing my time in the short-term to accomplish these “end goals” has made me very happy thus far and I’m confident that seeing these goals actualized will be even greater. The whole essence of this lesson is to be a man of your word. Wooden was quoted as saying “Make your yes mean yes and no mean no”. This is a very simple concept, but a very important one to live by. Praise and achievements can be motivational, but what you have accomplished is only proof that you have ability to achieve some level of success. You should not allow yourself to be caught up or become complacent due to your past accomplishments. In business and sports there is always someone else striving to take your spot, customers or future successes. The focus should not be on what has been already accomplished, but what you’re striving to accomplish next. by Andrew Hill. It was a fantastic book and I give it my highest recommendation. John Wooden will surely be missed, but his lessons will live on forever. 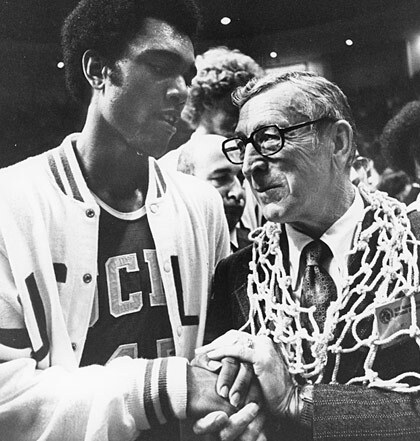 Many have called Coach Wooden the “Gold Standard” of coaches. I believe he was the gold standard of people and carried himself with uncommon grace, dignity and humility. Coach Wooden’s name is synonymous with excellence and deservedly so. He was one of the great leaders- in any profession-of his generation. 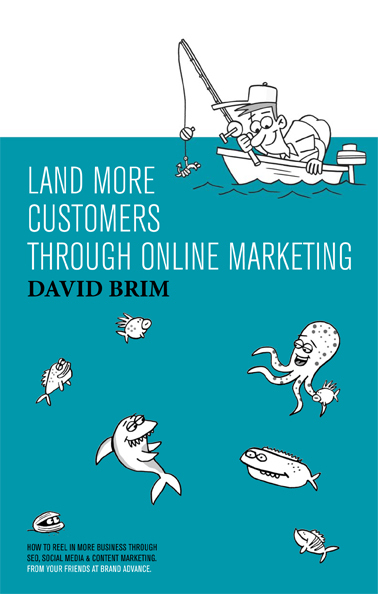 David Brim is an entrepreneur, marketing strategist, and investor based in Central Florida. 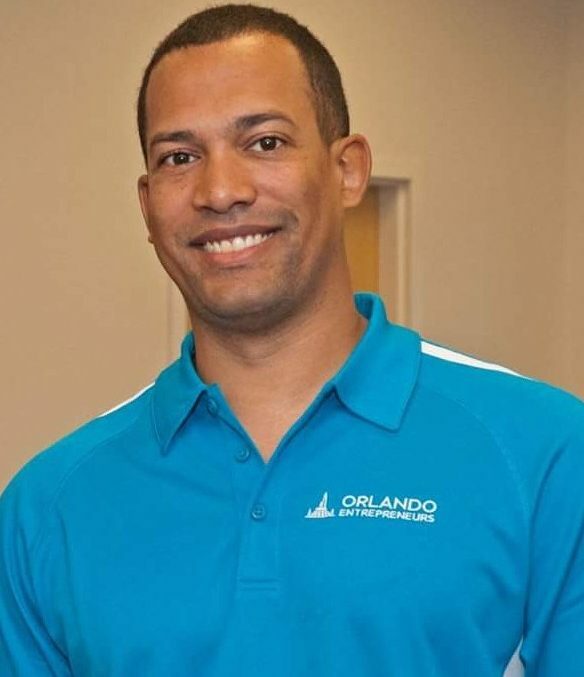 He is the general partner of the Orlando Opportunity Fund, focused on advancing communities through investments in early stage companies and commercial real estate. A graduate of the University of Central Florida, where he majored in marketing, David is the only two-time winner of the school’s Joust Business Plan Competition. Brim has founded numerous businesses in Central Florida across industries such as marketing, technology (SaaS & online directories), real estate, and e-commerce. In 2017 he founded Orlando Entrepreneurs a central hub created to connect, cultivate and celebrate entrepreneurs in Central Florida. Do you think that is going to work? I think that A coach is someone who can give correction without causing resentment. Instead of using the phrase sports is a business use a particular sport such as ” baseball + business” Baseball as a business is below. Substitute football or any other sport and you should obtain web sites. 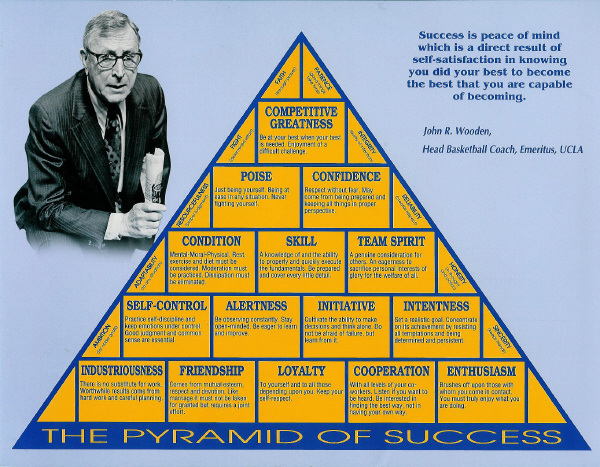 My favorite post of yours so far… John Wooden is the man! We have been privileged to live with him, and almost certainly will not see another like him.thanks.. The edge is knowing that you are getting to your goals and treating people right along the way because as good as you can be, you are so focused that you need regular people around you to balance you and help you. Thank your for your articles. I learn more from here! Thank you ! Thanks for taking the time to keep John Wooden wisdom alive, I did not know him personally but he spoke a lot of sense, and his results proved his formula. Thanks also for the Martin Luther King speech, this is something to cherish. Indeed he was a great and wise leader, I would definitely put him on par, if not a notch up from Nelson Mandela and Steve Biko. Great men who sacrificed their lives for the enfranchisement of the black masses in the South! (South Africa). I think NM and SB had the benefit of empirical studies paved by MLK and Booker T Washington.